The news were reported at SeatthlePi.com – at first I’m not puzzled why they have this in the news since every year there are hundreds and hundreds of duck were being killed because of hunting. But on the second thought the hunting season was closed Jan. 07 and today is off season for duck hunting and you’ll be in jail if caught hunting. Thirty 30 ducks (pintails and mallards) were found dead in the Carlyle Lake State Fish and Wildlife Area near Vandalia. "I was a little surprised that I’d won," LeRoy said. "It was the first painting I’d made with a storm in it and thought they’d either hate it or that it might win. I’m very excited about this win." Right now there is bill in the state legislature about raising the state stamp from $6 to $10 while there’s a pending bill in the U.S. Senate that raising the federal duck stamp from $15 to $25 per stamp. 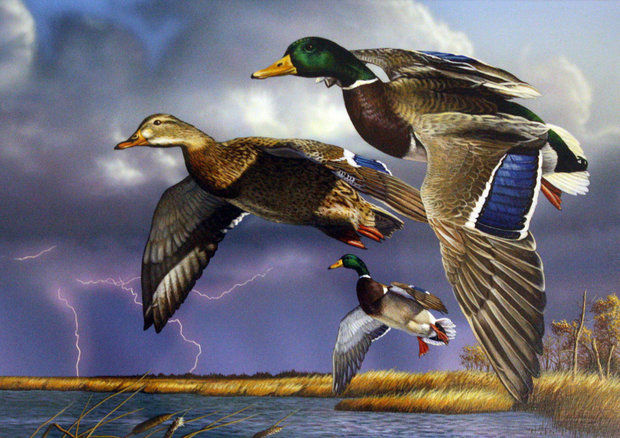 The money collected from the sale of stamps is used to buy and manage lands critical to waterfowl population and to increase hunter access to these lands. 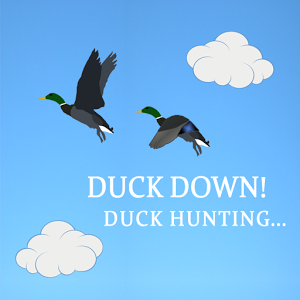 There is a new game app available in iTunes, its called Duck Down. The game is simple you need to knock down flying ducks and get the highest score. The app is created by David Pedroso, an app designed for both iPhone and iPad. I haven’t tried it with my Android but it seems working also with Android, kindly verify and inform me. You can download this app at iTune Store.